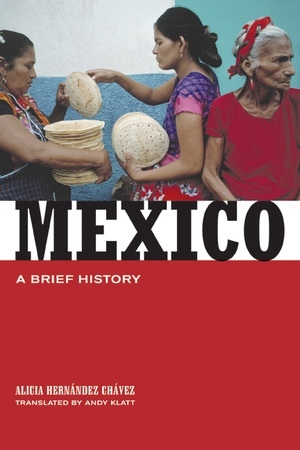 Beginning with the pre-Hispanic period and ending with the latest democratic developments of the twenty-first century, this definitive one-volume history of Mexico analyzes the ways that economic, social, and political dynamics have interacted to shape the nation's past. Alicia Hernández Chávez takes into account new historiography—which is fully integrated with anthropology, political science, economics, and international relations—to present an original and fresh interpretation of the structures and processes that determined the country's evolution. Based on the latest sources in both Spanish and other languages, this book illustrates that Mexico's history—far from being one of violent change, uprisings, and revolution—tended more toward stability and political collaboration. Hernández Chávez argues that Mexicans relied on tradition and institutions to effect change, resorting to disorder and destruction as little as possible. Numerous maps, tables, and charts support the text, providing extensive information on geography, social structures, the economy, politics, education, health, and transportation. Alicia Hernández Chávez is Professor at the Centro de Estudios Históricos at El Colegio de México. She is the author of La nueva relación entre legislativo y ejecutivo: La política económica, 1982-1997 (1998), La tradición republicana del buen gobierno (1999), and Anenecuilco: Memoria y vida de un pueblo (1993).